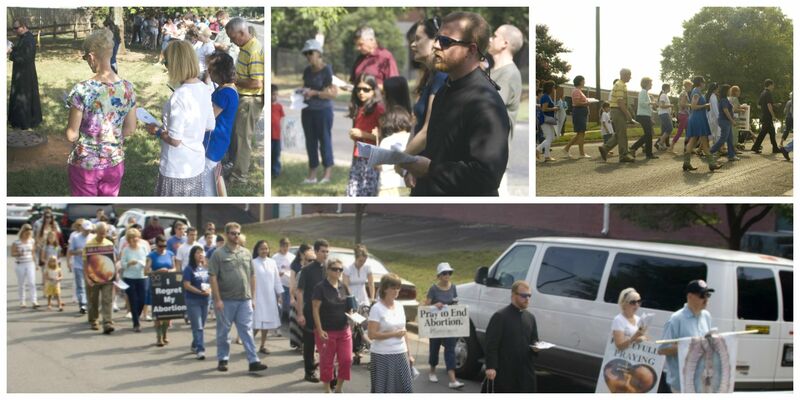 Thank you to everyone who attended our July Procession for Life with Fr. Casey Coleman at Family Reproductive Health abortion mill on Hebron Rd. See our last post for photos from that event. We had over 50 people join us on the sidewalk, not including those who stayed behind to pray in Eucharistic Adoration in the chapel. It was a beautiful event! 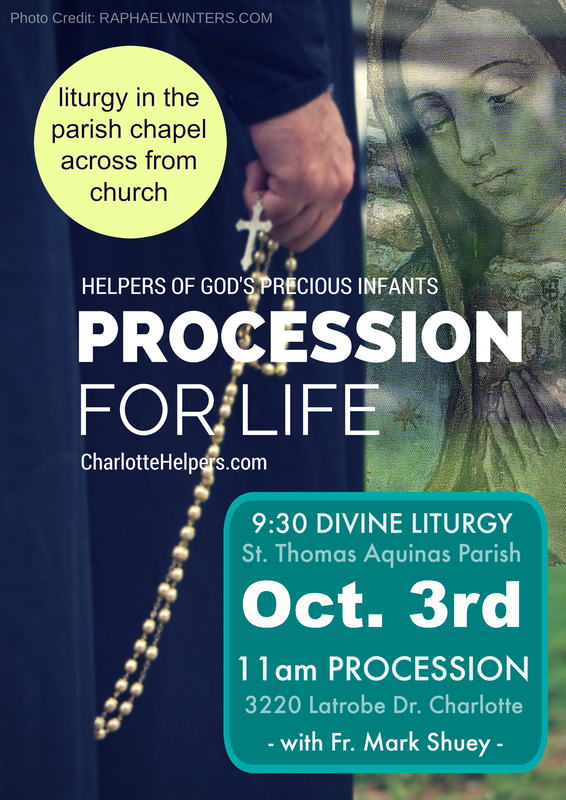 Our next Procession for Life will be held on Saturday, October 3rd at St. Basil’s Ukranian-Greek Catholic Mission meeting in the chapel at St. Thomas Aquinas parish. We’ll then be led in prayer by Fr. Mark Shuey at A Preferred Women’s Health Center on Latrobe Dr.
Divine Liturgy will begin at 9:30am in the chapel across the courtyard from the church. Mass in the church will begin at 10:00am. Both will end at approximately 10:30am and we’ll carpool to the abortion clinic for a procession start time of approximately 11am. PLEASE EMAIL & PRINT THIS FLIER TO SPREAD NEWS OF THE EVENT! 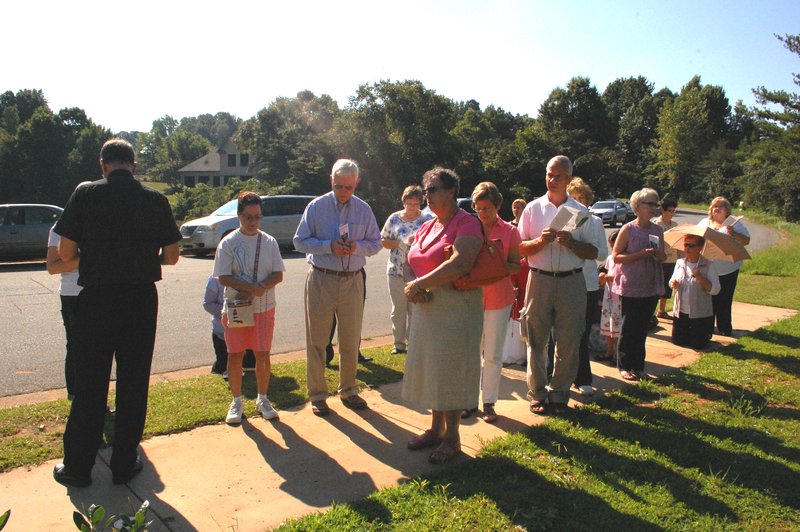 Thank you to all of you who have regularly and faithfully attended our monthly pro-life prayer vigils. It is hard to believe that almost a year and a half has gone by since Msgr. Reilly visited Charlotte and our local chapter of the Helpers of God’s Precious Infants began. 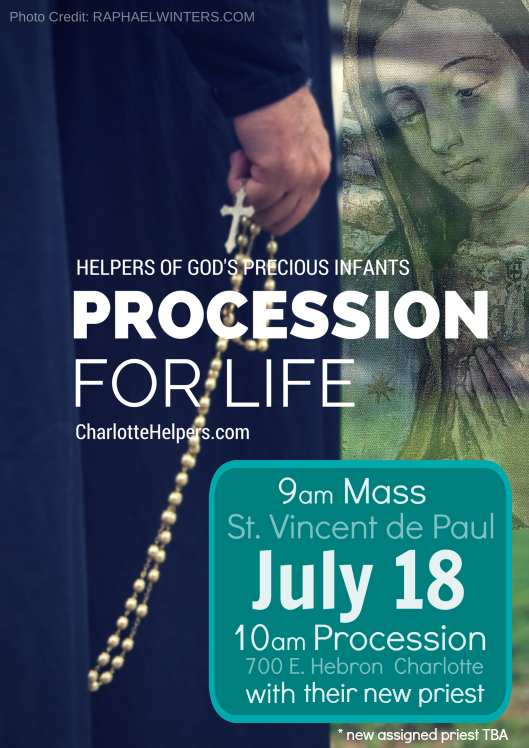 The goal of the Charlotte Helpers has always been to “go big” with our events and to attract many Catholics who would not normally go to the frontlines to pray at our local abortion clinics, as Msgr. does so successfully in the suburbs of New York City. Thank you for helping to make that happen! Who is Msgr. Reilly? Read about him here. After consulting with some of our diocesan priests who lead our vigils, we have implemented a few changes to further help us in this goal. Earlier this year we began using a new prayer format on the handout sheets, which many of you have appreciated and have taken back to your own parishes for further use in pro-life prayer. We also want to implement some other changes. Earlier this year we received some advice from Fr. Winslow as to how we can improve and market our vigils so that they have wider appeal and greater attendance. 1) Better verbiage: Call our events a pro-life “procession” rather than a “vigil” to give people a better idea of what we do. The name of our “prayer vigils,” for marketing purposes, will now be called a “Procession for Life.” This also means that we want to improve the procession aspect of our events, as this is what is unique to our group, and also because just as much time is spent processing to and from the clinics as there is time spent on the sidewalk as a prayerful presence. 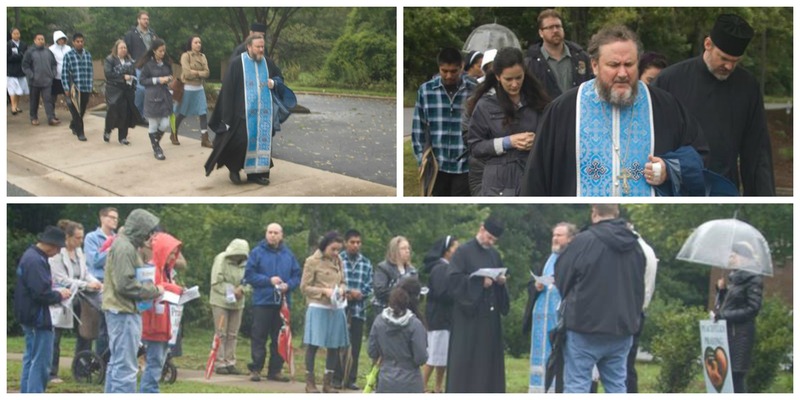 Processions are also a rich part of Catholic liturgical tradition emphasizing the pilgrimage aspect of our Christian faith, symbolizing our constant movement towards God and heaven; and our events are rooted in the Eucharist by being tied to the Holy Mass and Eucharistic Adoration. 2) Better outreach: On the weekends prior to the event, give an announcement in person after the Sunday Masses at the parish where we are hosting the event in order to have greater attendance from that parish. 3) Better marketing: Increase the visibility of these events in the parish bulletins and the Catholic News Herald, and invite more parishes and priests to be involved. These are all excellent ideas given to us by Father, and we (Francesca Sperazzo, Mary Richardson, and Gretchen Filz) realized that there is no way we could keep up with these changes if we continue to have our events on a once monthly basis. We have decided that since our goal is to have bigger events, we will work harder on fewer of them. This seems like a good idea to us as we already have consistent Catholic prayer coverage at the clinics with Fr. Buettner at Latrobe on 1st Saturdays, and Fr. Reid at Hebron on 4th Saturdays. Rather than reinvent the wheel on this, our once monthly prayer vigils can be to join and support these priests in what they are already regularly doing. This will allow the Charlotte Helpers events to cast the net more widely with fewer but (hopefully) bigger vigils. We will have 4 “big” vigils a year in January, April, July, and October. This October we will have our first “big” vigil on October 25th at St. Mark’s. We’ll have 9am Mass followed by prayer at the Latrobe Dr. abortion clinic with Fr. Putnam. 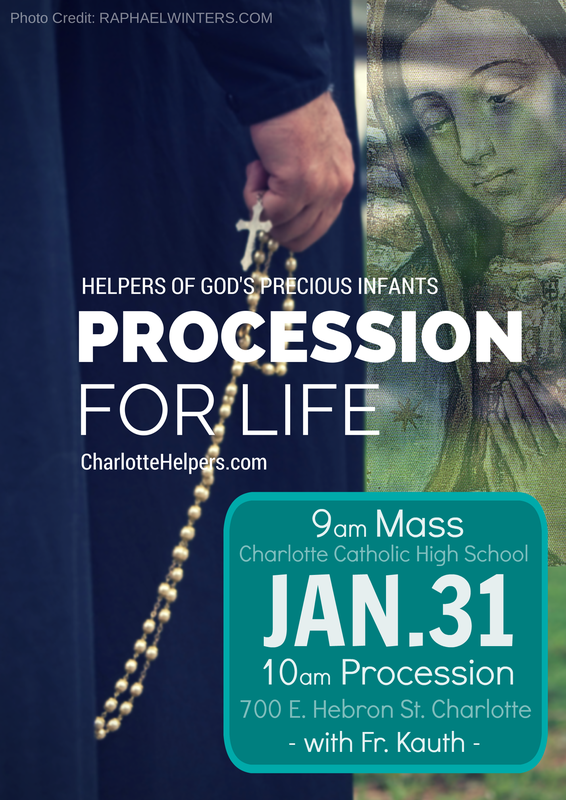 We will have a Charlotte Helpers booth at the Eucharistic Congress. 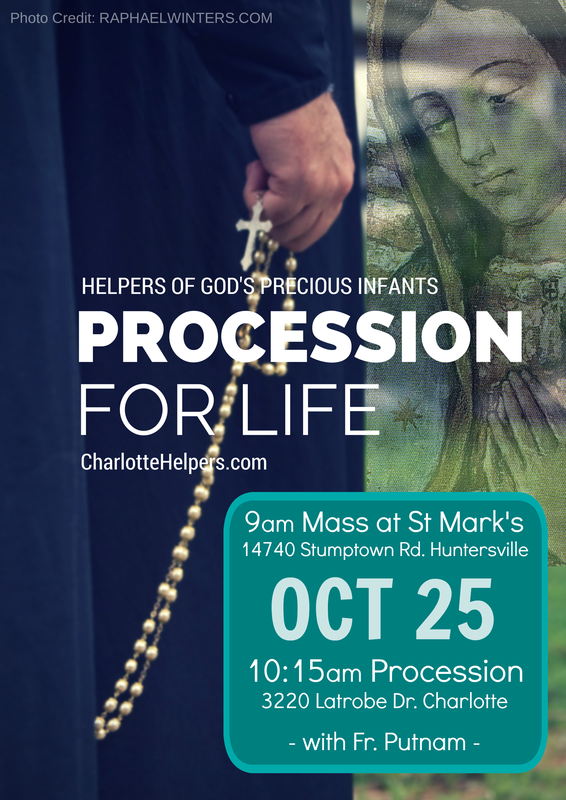 Please stop by and say hi, let us know what you think about these changes, and if you have any other good ideas on how to make our pro-life processions even better and more prayerful. What you can do: Please help us promote our events in your parishes and to your family and friends. Together we can help create a Culture of Life in our own city! Thanks to all who came out to our Charlotte Helpers prayer vigil for May! We know it was a busy weekend for most, with proms, graduations, and First Holy Communions all happening around town on the same weekend. We joined Fr. Buettner as he said Mass at the Missionaries of Charity chapel. 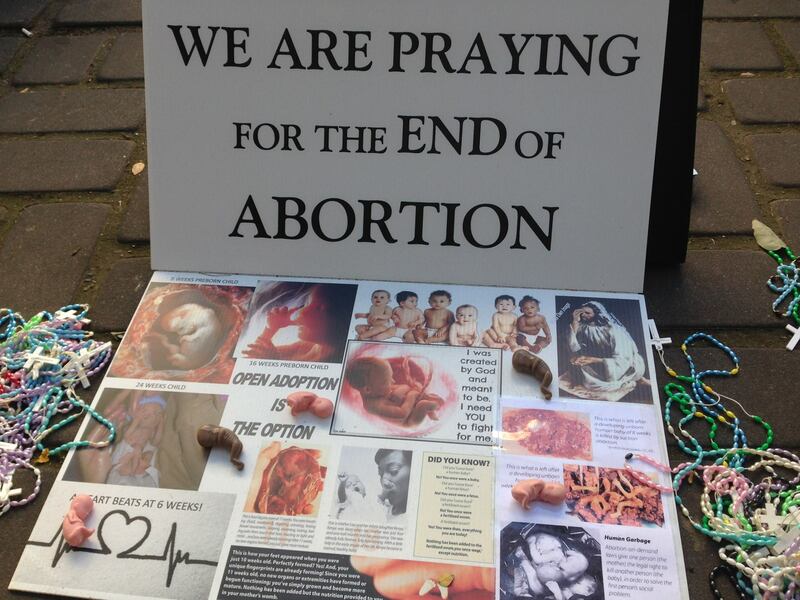 We then went to pray a few miles away at the Latrobe abortion clinic with Fr. Buettner leading us in prayer. 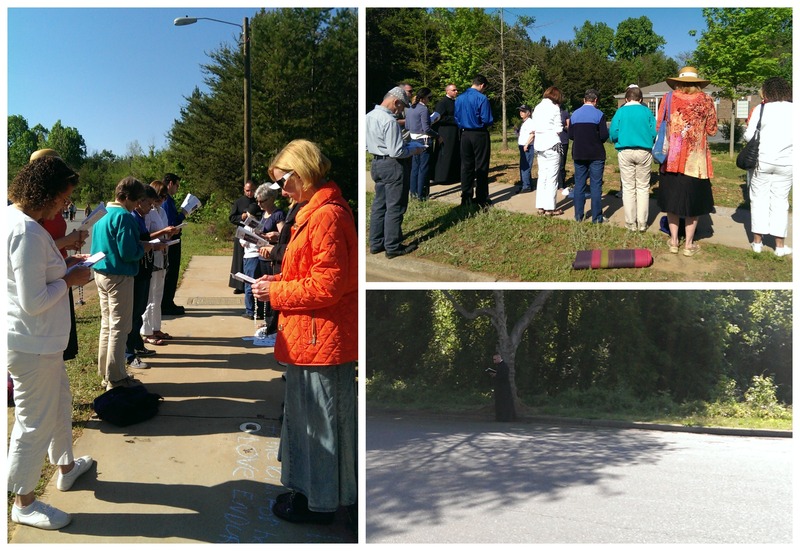 As we knelt down on the concrete for the 5th Sorrowful Rosary Mystery (the Crucifixion) we had a security guard come over and quietly watch us as we did that. When we sang to Our Lady, a boisterous pro-abortion activist filed through our ranks with her video camera in our faces (not sure what the point of that is?). Afterwards Father prayed exorcism prayers in front of the clinic as the rest continued in prayer. It was one of those special days where we see the evidence that our presence and prayers DO make an impact. No one seemed to want to leave right away, so in honor of Our Lady and the Month of Mary we stayed to pray another rosary. 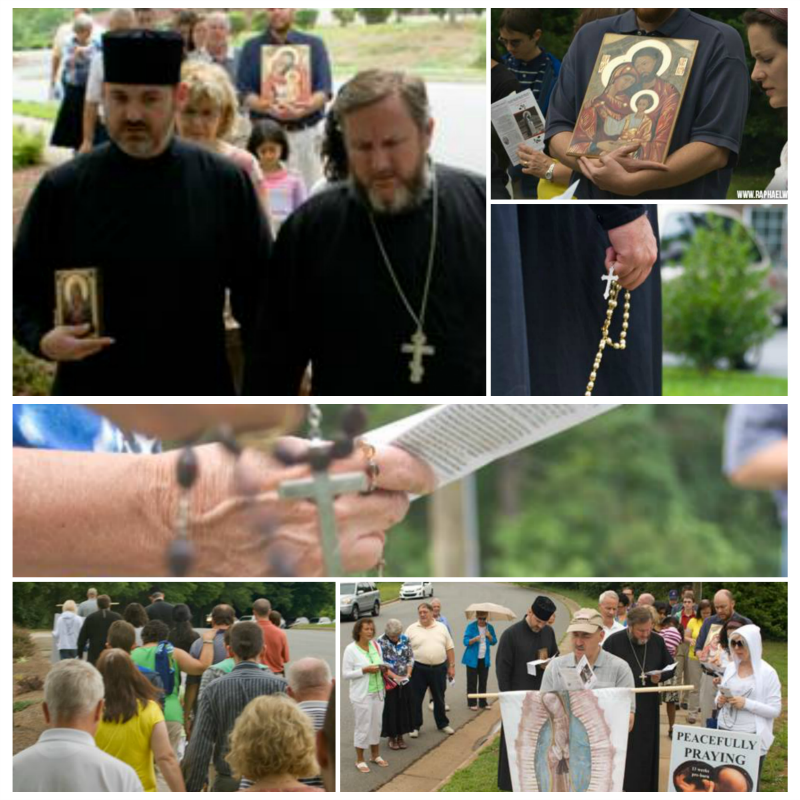 We look forward to seeing you all again next month at our June vigil with Fr. Reid!